Are You Looking For A Safe Haven? One morning as I was preparing to jot an entry in my journal, a flash of red outside my window caught my eye. As I turned and watched I saw a crimson male cardinal coming from the grapevine in my back yard. Shortly, I recognized the flash of color and flight pattern of a thrush as it flew out of the grapevine. I have watched many species of birds emerge from the safe haven of that overgrown grapevine over the years. This morning, as I enjoyed watching the birds, the words of a hymn came to mine. 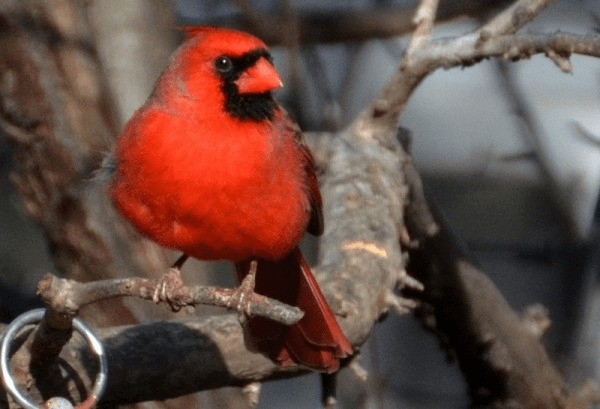 It has been a while since I heard the words, “He is so wonderful to me.” The joy of watching the birds reminds me of how my Creator satisfies my life with good things. I must look for those good things and remember what God has done. Like the grapevine, He provides a safe place to rest. He is our safe haven. Often we let the “ifs” distract us. If people treated me better. If only my husband would change. If only I had this or that. If God would come thru for me. The “ifs” are not likely to improve our lives. Focusing on the good we already have, what God has already done will help us change our lives from the inside. Have you heard Proverbs 23:7 quoted? From my experience it is indeed true that “As a man thinks within so is he.” My thoughts have often taken me places I never desired to go. Don’t wait for things to change on the outside. Mediate on what He has already done for you. Read Psalm 103: 8,12. Take time to look around. Just be still and rest in Him. Enjoy what He has given. Then give Him your praises.